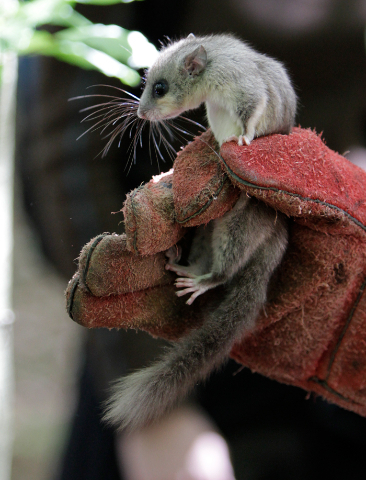 Mainly due to the spring and summer weather the numbers of Glis being found in the provided nestboxes were down on previous years. Hopefully the majority of animals were safely hibernating the year through underground and would appear in 2013 rather than having moved into the surrounding houses were they are known to cause havoc by chewing through cables. We were told of one home where already this year 297 had been caught and killed! How can you do that to something so cute! Watch out for those teeth though as they bite back and they hang on, hence the need to wear gloves when handling. 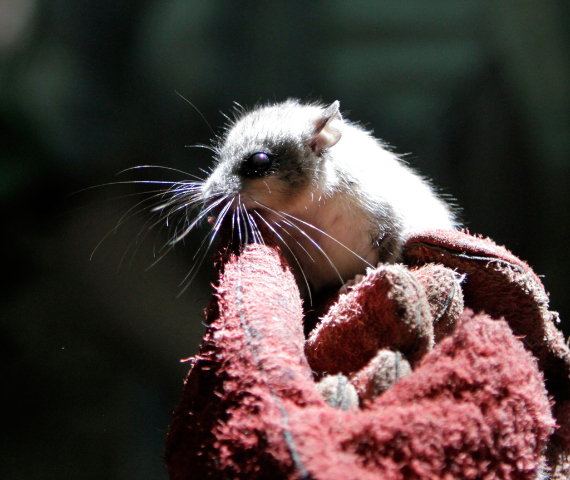 A superb set of whiskers helps this animal check out it's surroundings at night as it wanders the canopy looking for beech nuts. 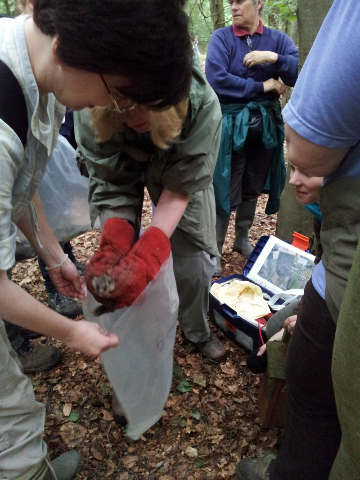 This year the use of endoscopes made it easier to checkout the contents of the boxes for any snoozing dormice. As I approached one box and looked through the scope I said ' I'm not sure but I think there is a dormouse in here, probably worth taking down just to double check.'. The box was duly taken down and emptied into a collecting bag. In the bottom were 8 mature dormice, it must have been a squash in there, just awesome!! After a lot of box checking and data gathering it was back to the control hut for tea and cakes after a job well done.